“The Feminists are taking over,” cries Sir Gabriel Gundacker of Vine, in reference to four female ghostbusters. Granted, that was way back in 2016, but the vine seems appropriate in today’s day and age — especially these past two years. What a horrible time it is to be alive! Honestly, this is the worst thing that has happened in the past decade. Why, you might ask? Well, let me enlighten you a little if you don’t already know. In July 2017, the BBC, through a special that featured a Doctor Who trailer, announced that the search for a new Doctor was over, and that the series had finally found the one. After a thorough search and casting process, British actress Jodie Whittaker was announced to be the 13th Doctor in the series — which is a decision I am deeply, staunchly against. This is a travesty. Don’t get me wrong, I support women’s rights and all that — but this is asking for way, way, too much. Let’s break this down, first by getting into facts, because I’m a real journalist who does research. Doctor Who, since it first aired on the BBC radio in 1963, has had 13 doctors, all travelling through space and time in pursuit of various missions and creatures across the universe. The last 12 doctors have been men, and this is the first change in that continuum. Don’t you see something wrong here? Who are we to rewrite a longstanding tradition? And before you put up your pitchforks, consider the fact that there are women on the show. 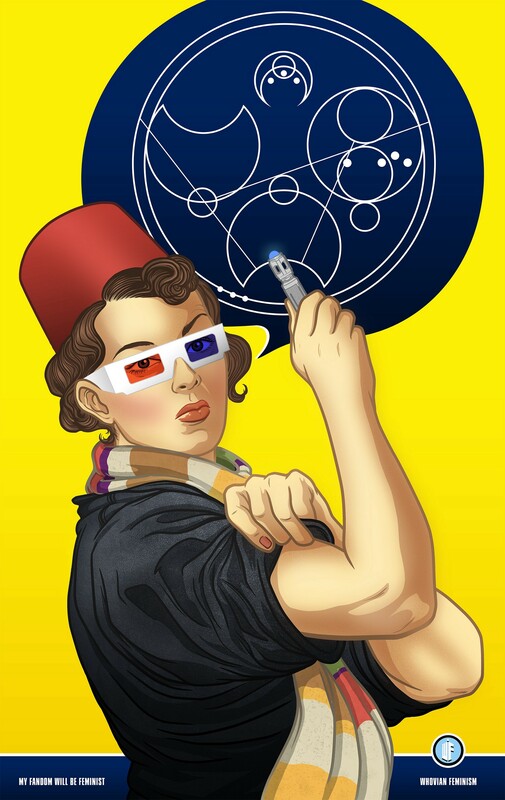 Many of the Doctors’ companions have been women, and that’s a big role to fill in itself. They basically have the same job as the Doctor — kind of — in a more assisting, less supernatural (not to mention, totally awesome) way. Now, let’s look at Jodie Whittaker. What makes her qualified to act in a series — nay, an institution — as long standing and prestigious as Doctor Who? Let’s look at this rationally. It is empirically proven that males are simply more fitted for the role. All of the previous Doctors have proved themselves to the industry, whether it’s their countless awards or ubiquitous recognition, they’ve become icons in popular culture. Here, it’s not as if Jodie Whittaker is a celebrated, talented actress who has starred in multiple films and has been nominated for at least two major awards. Besides, the countless number of girls watching the show (the very demographic that makes up at least fifty per cent of Doctor Who’s audience) don’t need a strong female icon to look up to — isn’t that what Rose, Martha and Clara, the Doctor’s companions, have been for? … That has to be enough, right? That’s not all — they bring her onto the show and suddenly start discussing women’s and minority rights? Take the third episode for instance, the one about Rosa Parks. That was way back in the 60s, man! Doctor Who isn’t meant to be about any of this. What about the stuff that really matters? We can’t discuss Daleks or weeping angels when the only thing the show brings to the table is preachy PC culture. Bo Burnham in his extremely poignant song, ‘Straight White Man’, accurately sums up this journalist’s response to the cards stacked up on the table this season: “Leave us alone, also no to all of those”. Is gender equality in an industry as expansive as the media too complex and unnatural to fathom? There is a certain way we treat female actors that needs to be changed immediately. In large parts of popular culture, women in media are indiscriminately objectified, disrespected, and sexualized. However, when they are cast into a stronger, smarter or traditionally, a more masculine role, many audiences feel threatened by the choice. A treatment that is magnified in the realms of science fiction and fantasy (as if Mary Shelley, a woman, didn’t create the genre of sci-fi back in 1800s herself). If you disagree, consider the backlash that arose when the cast for the 2016 Ghostbusters film was announced, or when the most recent Star Wars installment The Last Jedi came out: a couple of the many examples that show the controversies that occur when women are finally given some space in our culture. Furthermore, for a show that jumps across the space-time continuum, meeting creatures across the temporal and spatial universe, why is it so hard to believe that a woman can be in-charge? “Doctor Who represents everything exciting about change…,” said Jodie Whittaker in an interview with the BBC, asking fans not to be fearful of her gender, and discussing the kind of impact she wishes to create with her new role. She certainly has created an impact — Whittaker’s debut episode was the most watched debut of the series in the UK, reaching more than ten million viewers across all devices. The season has maintained a high viewer count ever since. Take that for positive impact! Okay, so maybe the feminists are taking over. What’s so wrong with that?